Faculty and South Korean students at the Washington University business school during the Korea Project. Washington University in St. Louis played a pivotal role in reviving the South Korean economy after the war. 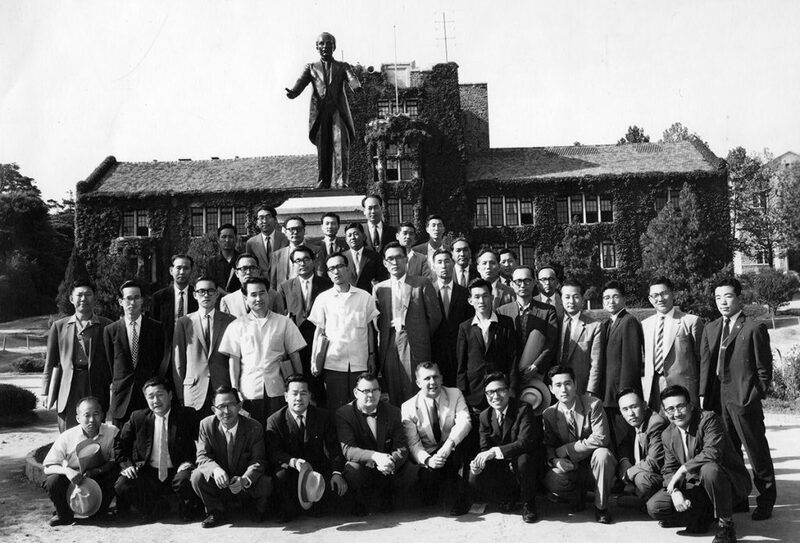 See how professors from the business school in the late 1950s and early 1960s helped launch a transformation that turned South Korea into one of the world’s largest economies. and e*Trade.com. Here’s chapter one. Crowd-sourced guide to summer camps produced for Patch.com. Content uploaded by camp operators and plotted using Google Fusion Tables to create an interactive map and Caspio.com to produce a searchable database. Do You Live Near a Former Meth House? Using data compiled by the U.S. DEA, I compiled and presented this map for Missouri using Google Fusion Tables, and wrote a story around it to put the data in context. Still of the interactive map produced using Google Fusion Tables with crowd-sourced data. May 11, 1989, Sun-Sentinel: This was my 15 minutes of fame. Prom date broken; girl sues boy in small-claims court. The Wall Street Journal followed the story. Dr. Ruth wrote about it. Leno monologued it. It was a blast. Jan. 11, 1993, Sun-Sentinel: I was working the copy desk late one night when this tip came in; no reporters were left. I put this together in about an hour with the help of a Spanish-speaking editorial assistant. Dec. 22, 1988, Sun-Sentinel: The short stories are always the fun ones. This was the result of good court reporting — knowing the sources and finding the quirky tips. It was one of three consecutive days in which I had front-page stories. July 2, 1989, Sun-Sentinel: Covering the court beat in Palm Beach County gave me the chance to write a lot of yarns. This one was a low-life informant getting a lot of money from law enforcement. 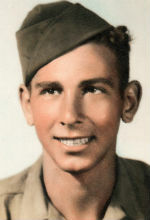 April 2, 1995, Sunshine Magazine: A personal story about my mother”s brother, who died near the end of World War II. I tried to find out more about the picture on my grandmother”s dresser. Aug. 15, 2001, Knowledge@Wharton: Priceline.com announced second-quarter 2001 results of a penny-per-share profit, offering hope to those who though dot-coms were dead. This story examines the details of that announcement from the perspective of some of the Wharton School’s experts. A Business Case for Kyoto? Aug. 1, 2001, Knowledge@Emory: On the heels of President Bush’s decision to bow out of the Kyoto Protocol, what does that mean for business? What is the case for Corporate America being engaged in the global warming reducation targets? July 18, 2001, Knowledge@Wharton: How can executives measure returns on investments they make in information technology? Experts from Wharton and Intel, the giant chip maker, suggest some methods that may help executives approach these questions. July 4, 2001, Knowledge@Wharton: Pegged on the breakdown in partnership talks between the two giants, this story looks at the issues between them and what lessons others can learn when partnering with rivals. May 27, 1990, Sun-Sentinel: A follow-up after the 1989 hurricane that pummeled the Carolinas. I had covered the story when it happened and got the chance to follow up later, just as hurricane season was about to start again. April 2001, The American Editor: A magazine piece for the American Society of Newspaper Editors” publication, recounting what has gone on since the meltdown and how newspaper editors are coping with it.